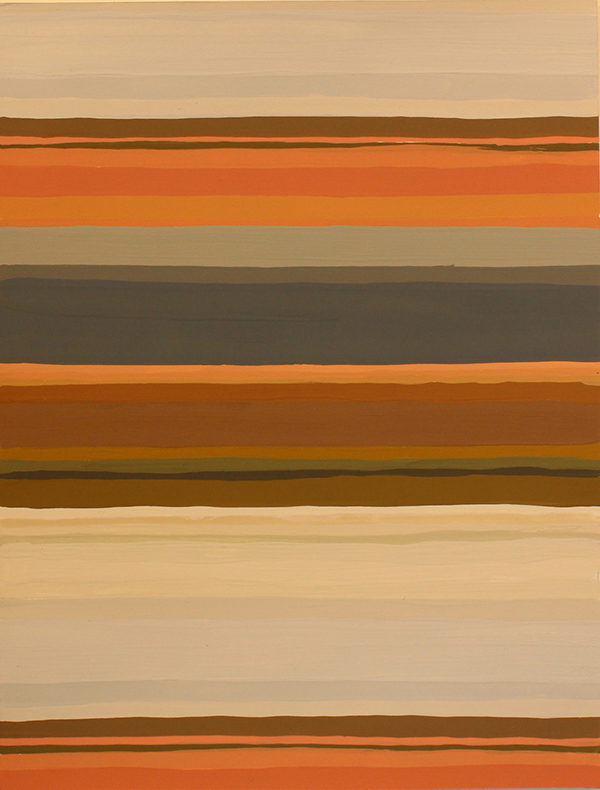 Stripe pattern abstracted from a picture of the Sandia mountains at sunset. 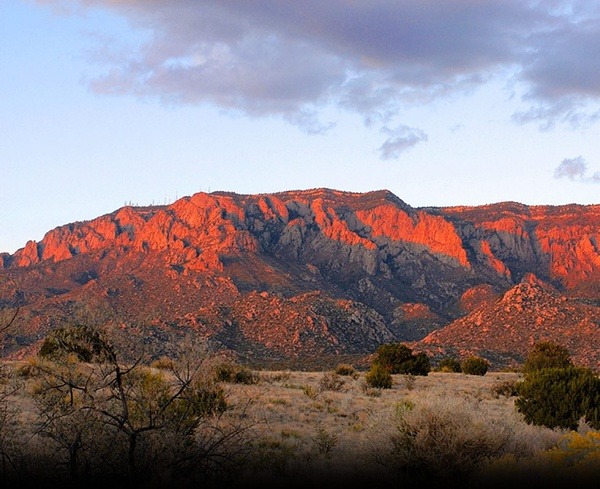 The Sandia mountains are named after the brilliant pink color they turn when the sun sets. In Spanish, "sandia" means "watermelon". My childhood home in New Mexico rests in the foothills of the Sandias, and I wanted to immortalize the many beautiful sunsets I saw while growing up. 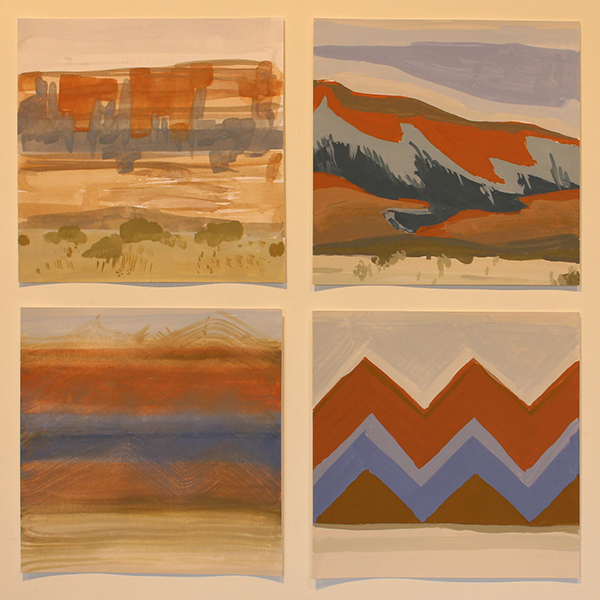 A stripe pattern referencing the Sandia mountains at sunset.